The Freud Diablo D0738F 7-1/4 in. 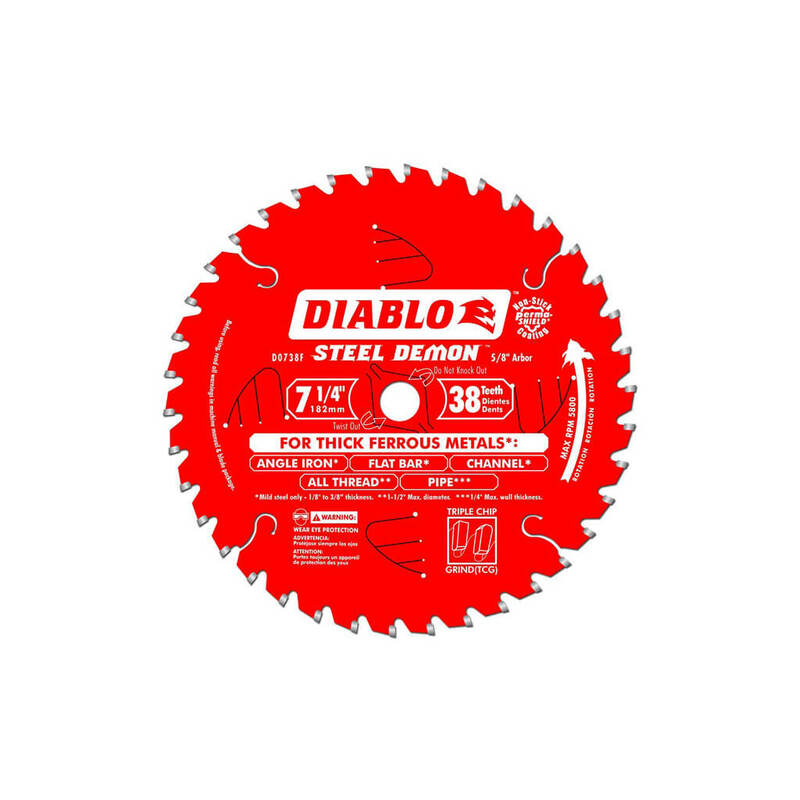 x 38-Tooth Steel Demon Metal Cutting Saw Blade is specially designed for the extreme demands of ferrous metal cutting; thereby enabling precise cuts without sparks; heat or burred edges that result from using abrasive blades. With up to 40X the life of standard abrasive disc; Steel demon delivers unparalleled performance and superior quality cuts. The blade features Freuds TiCo Hi-Density Carbide; Laser cut bodies; Anti-vibration technology; Perma-Shield Non-Stick Coating; Triple Chip Design; and pretensioned blades.